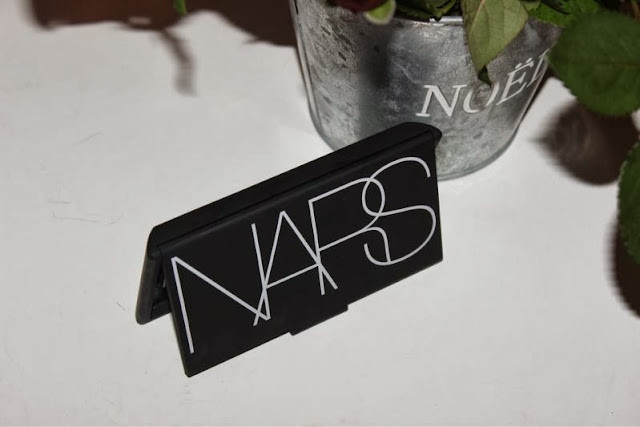 Being a NARS product the foundation is encased within a matte black and rubberised case, inside you will find the foundation which has its own separate lid to keep it fresh and free from dust et al and also a foam applicator. In store the make-up artist did use the included sponge on my face and the end result was flawless but at home I do prefer using the Real Techniques Miracle Sponge (a beauty blender by any other name) as I find it easier to build up coverage and stipple it on this way. 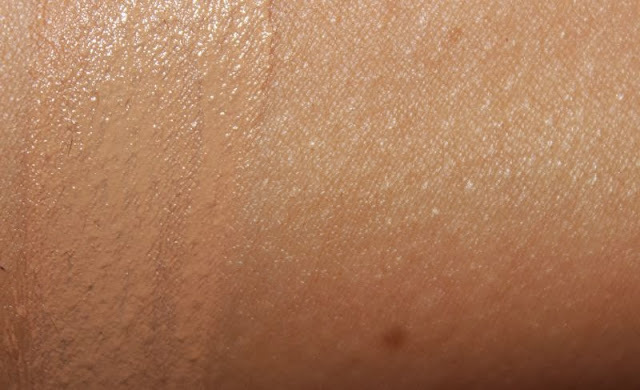 I have also tested it with a foundation brush - it tended to settle on top of my skin using this technique and buffing it into my skin using a flat top brush - great for a lighter finish. 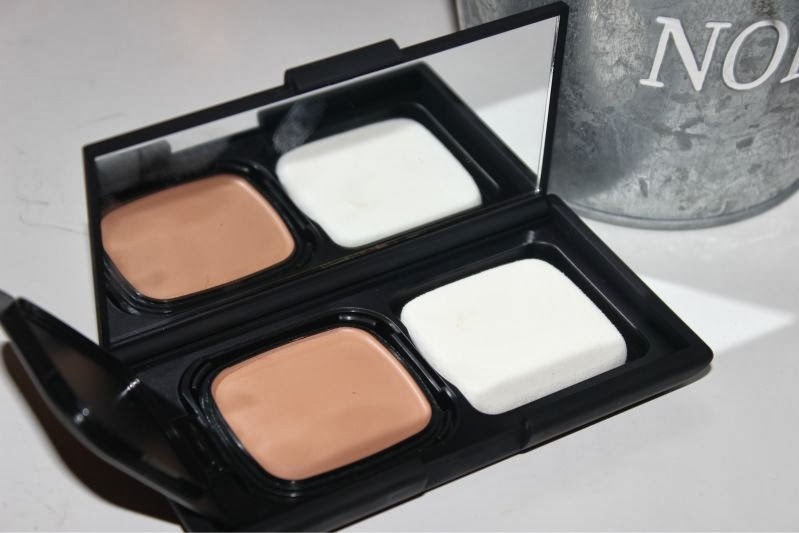 One thing I do have to point out about this foundation is that you can buy refills which as you can see above is just the dinky foundation compact - it works out cheaper and is of course kinder on the environment. 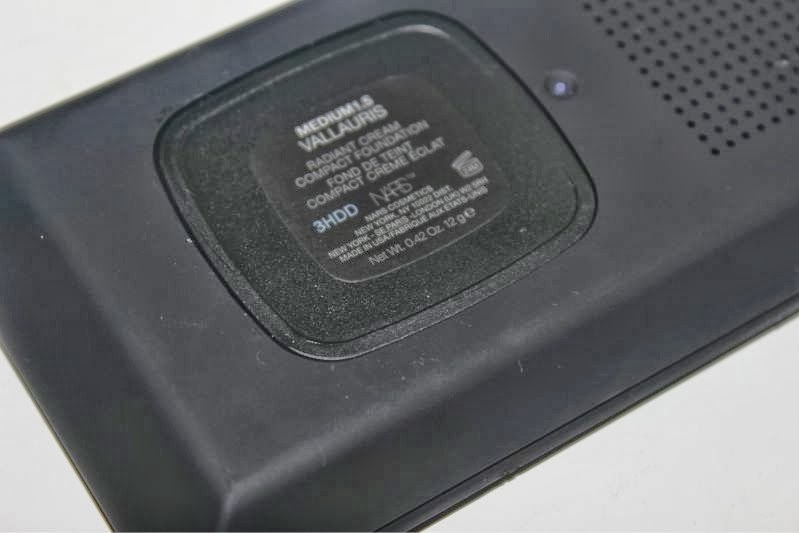 It also doesn't hurt that without the large casing the foundation refill is much more travel friendly. Much like NARS Creamy Radiant Concealer the creamy factor shouldn't really put those with oily skin off as it is not as heavy as you may imagine, the "creamy" description refers more to the texture rather than resulting in an extra hydrating formula. 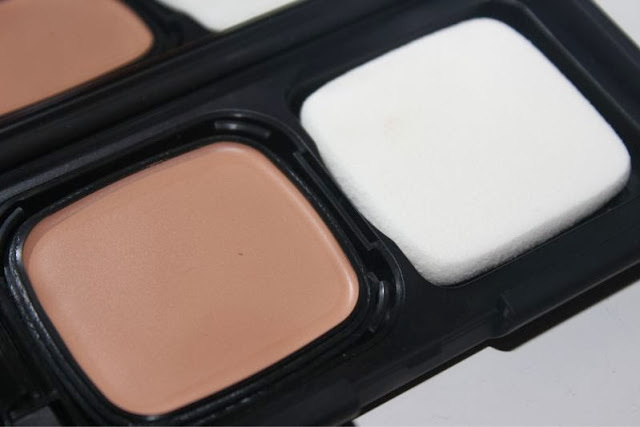 However I am sure this will be brilliant on dry skin types as the smooth texture glides over any rough patches, lines and enlarged pores without clinging to such skin faults but it is not any more moisturising than your typical foundation. 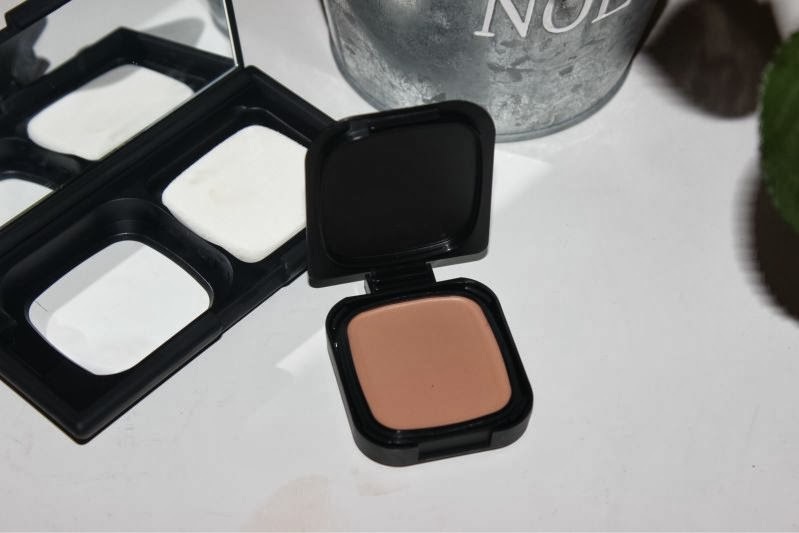 The reason I like NARS Radiant Cream Compact Foundation is that it offers light to medium coverage but can be built up in any areas that require more coverage yet it does not cake on the skin, it feels light and looks natural. 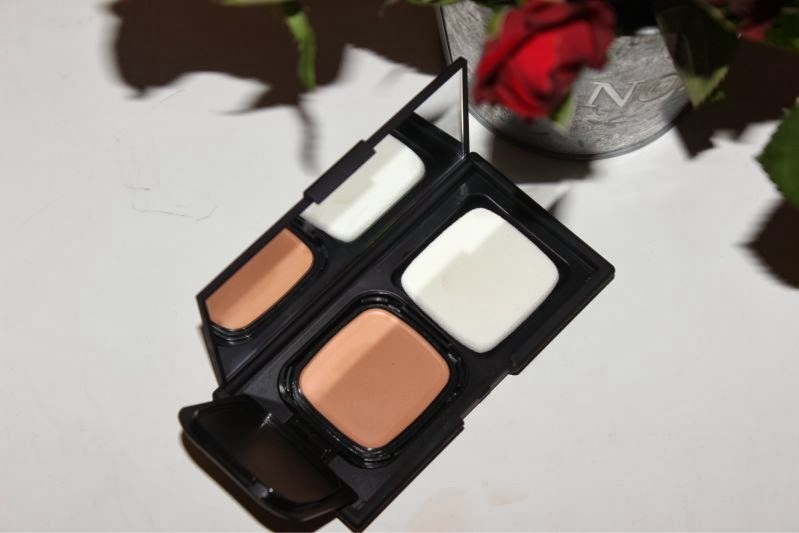 Obviously if like myself you have an oily or combination complexion you may want to set with a powder/primer duo to ensure it stays put all day but unlike traditional cream foundations this does not melt off my skin within an hour, rather it typically wears for up to 8 hours. A quick note on the shade range - all in there is an impressive 20 shades which range from incredibly light all the way up to deep. I do feel NARS is one of the few brands out there that understand that beauty comes in many shades not just six suit all offerings and should be applauded for their vast colour range. At the moment I am using shade Vallauris which is shade Medium 1.5 and a great winter match for my skin tone. I have been eyeing this but like you didn't think it was right for my skin, I may go visit a counter and have a test! Thank you for sharing! Really like the sound of this but when it comes to cream foundation I always imagine the finish being similar to pan stick. Thanks for the review, I will definitely check this out! Looks great, I would love to try this! I am so excited to try this out. 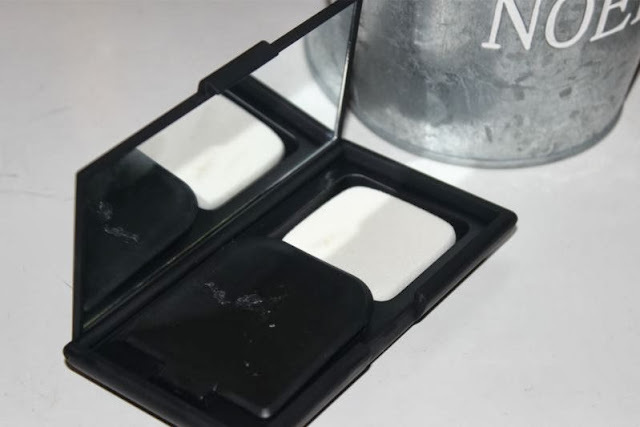 Currently using their Sheer Glow, I realise that it's much more suited to nighttime use (personally speaking) and wanted something more handy for day to day wear. Rushing to be colour matched asap! I want to try it really bad! I dread cream foundation maybe because I have very dry skin which needs extensive hydration before applying any makeup. I'm just wondering if this will suit very dry to dry skin? I really wanna try something different than liquid foundation! I love this foundation. Sometimes I apply it with my beauty blender and love the way it looks. It can give a lot of coverage, though.